Here comes the first and lovely surprise, ladies and gentleman: Celebrity Chef Norman Musa, Europe’s leading award-winning UK based Malaysian Chef and official food ambassador for Kuala Lumpur, brings you his very special Ramadan buffet at Eccucino, Pullman Kuala Lumpur City Centre Hotel & Residences. This year’s Ramadan menu will feature a host of favourites and signature dishes that are traditional, with a modern twist. How lucky I am to discover Malaysian dishes with a talented Malaysian celebrity chef that has been based in United Kingdom for 21 years! Celebrity Chef Norman Musa (left) at Eccucino, Pullman KLCC Hotel. Upon arrival, I was already impressed by the restaurant interior design. 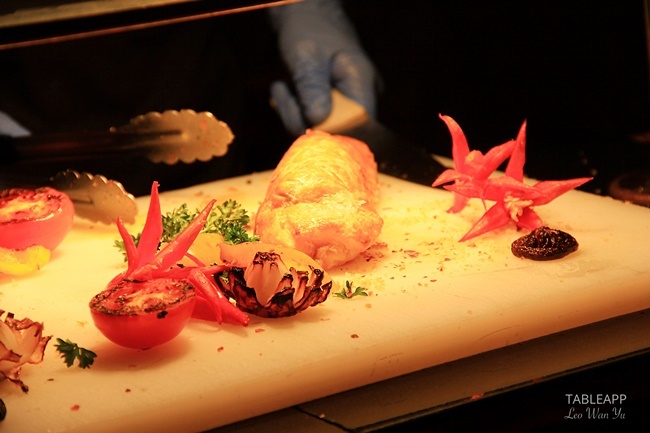 The decor allows the simplistic beauty of the food to really shine. A large bright open room, pretty laid tables and sweet and warm light highlighting the dishes – making me really anxious to taste this buffet! The restaurant buzzed with excited energy and was comfortably full with seemingly satisfied patrons. The magnificent dining environment at Eccucino. 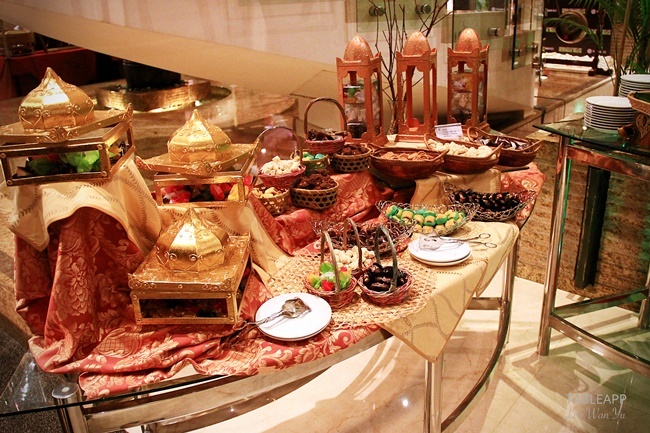 While we were waiting for the hour of Iftar, I couldn’t hold my excitement and decided to have a sneak peak of the buffet. All was very impressive and this has my taste buds awaken. 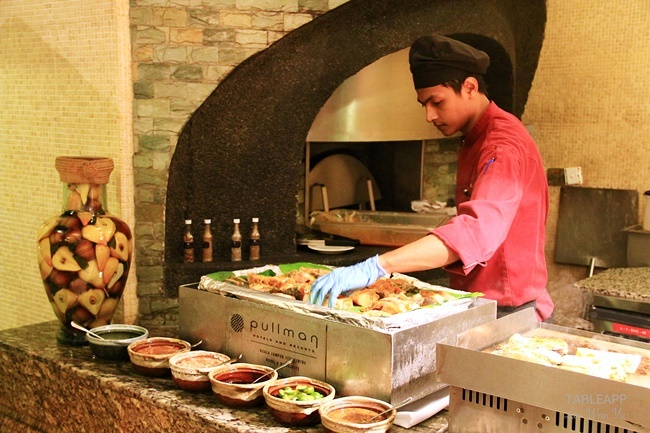 Through every counter, you can taste a local malay flavour with modern twist for delightful fusion dish. Even for people who are difficult with food you'll find whatever you want here. 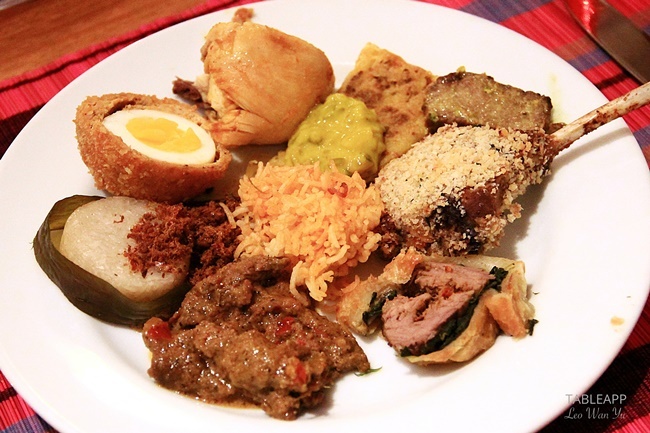 An array of Malay kuih – food heaven! 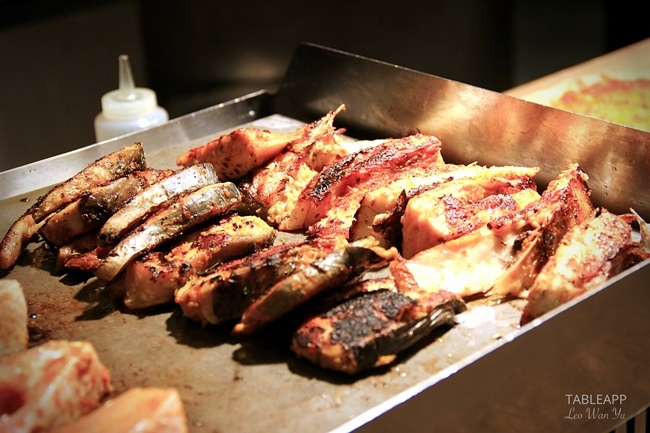 Live grill station at Eccucino’s Buka Puasa buffet. Break fast time arrived! I decided to start with the Rendang Beef Wellington’s – it was created by Chef Norman Musa exclusively for Eccucino’s Ramadan buffet. When I first tasted it, the mix of everything just popped inside my mouth, you can enjoy the taste of the delightful rolled beef, then comes the taste of the wrapped spinach and mushrooms that are perfectly blend with the pastry. Plus, it has an amazingly-baked crust! 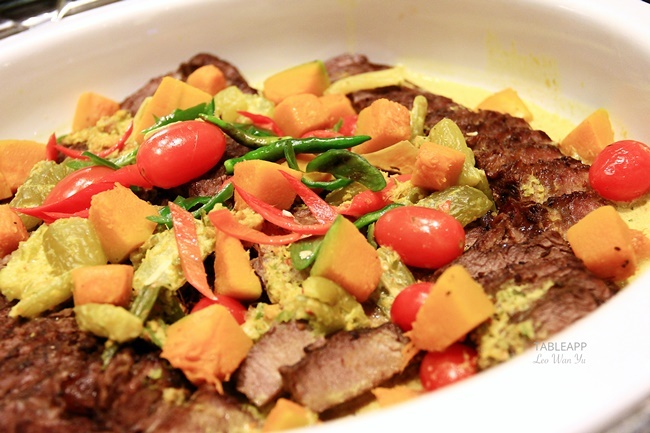 The Signature Rendang Beef Wellington by Chef Norman Musa – a traditional dish with British influence! 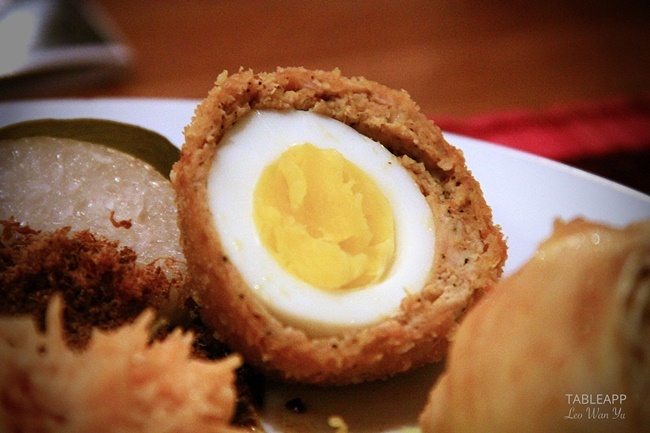 Star of the night – the Rendang Scotch Egg! It is a boiled egg coated with breadcrumbs. The savour of the soft boiled egg blends extraordinary good with the crispy texture of the roasted coconuts and minced chicken which is infused with authentic Rendang flavour. This adorably round-shaped fusion signature is deep fried and you can really feel the crunchy aspect of this dish. Chef Norman advises us to savour it with a salad. 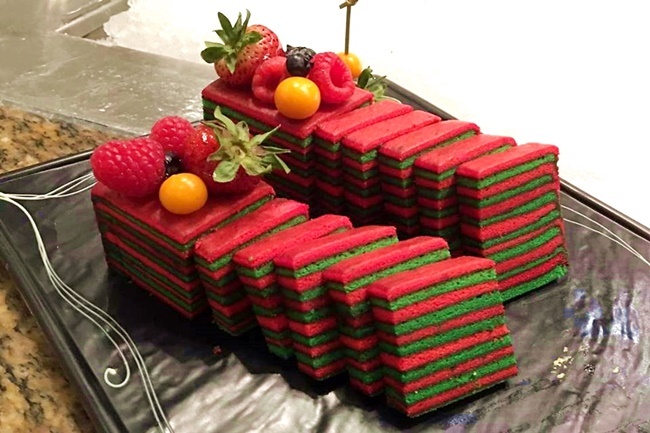 This is what I like about this buffet, through the boundless creativity by Chef Norman, simple ingredients could be turned into something extraordinary that just blows your mind away. After the Chef Norman’s cooking demonstration of this dish it made me realize that it’s something that I can easily cooked at home. Chef Norman will have more live cooking demonstrations during his special appearances on 14, 22, 25 and 30 June 2016. 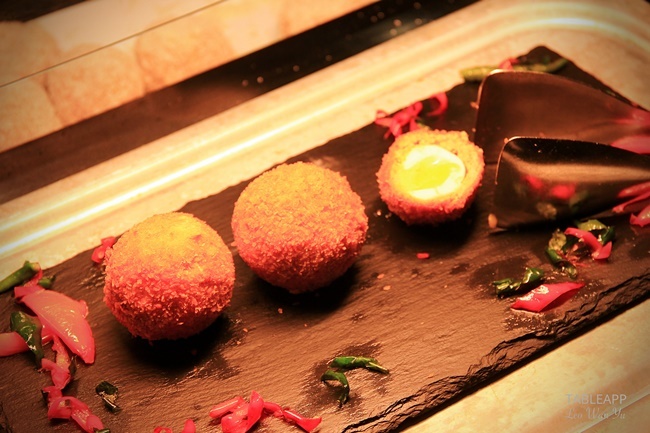 Another signature dish of Chef Norman Musa – Scotch egg. Here comes my favourite of the night! 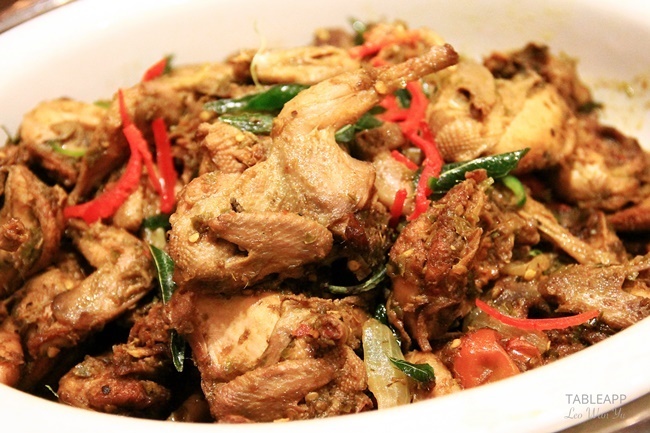 Lemongrass Roast Chicken was created by Chef Norman for his fans to celebrate British Sunday roast but with a Malaysian flavour. The chicken was tender and accompanied with yellow sweet sauce which enhances the dish. The best way to savour it is to have it with some rice. 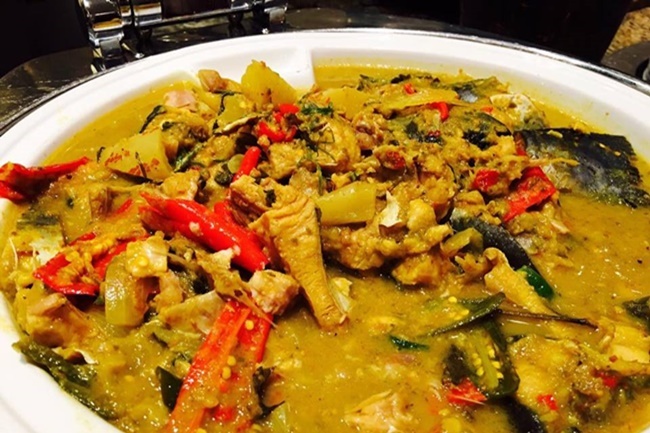 The dish was executed perfectly, and the bright colours of the ingredients made it a feast for the eyes as well as the stomach. 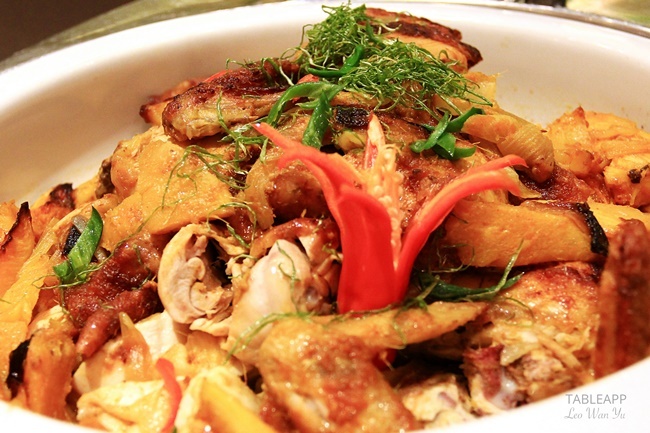 Chef Norman Musa’s signature dish – Lemongrass Roast Chicken – with the influence of British Sunday Roast. My curiosity peaks when I saw the lamb rack counter was packed with people. I decided to check out what was the dish: the ‘Selom’ Lamb racks. – it made me wanted to taste it immediately. Genius idea of Chef Norman to prepare the lamb rack – water parsley, mustard, and delicate cheese – to enhance the meat and give it more delightful flavours. What is so amazing about this dish is the crispiness of the lamb rack which is coated with crunchy breadcrumb that leaves a memorable taste in the mouth. A plate of wonder with the Selom Lamb Racks (right). 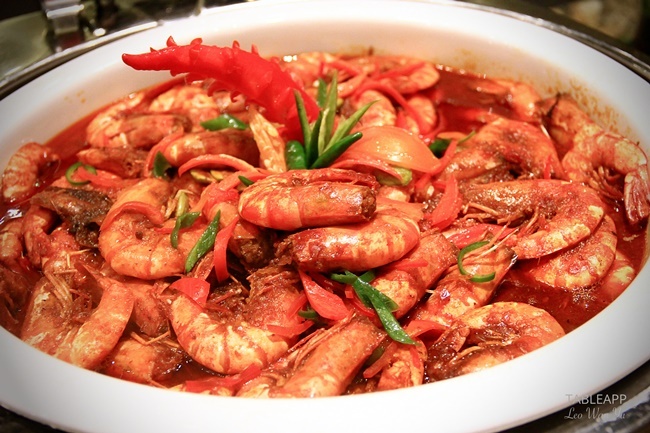 Seafood lovers will also be satisfied. 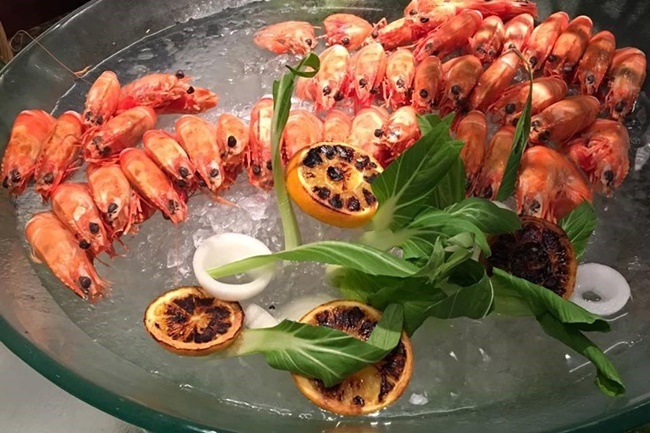 Be it the seafood counter or the live cooking station, you can have a feast on oysters, crabs, clams, fish, prawns and many others. 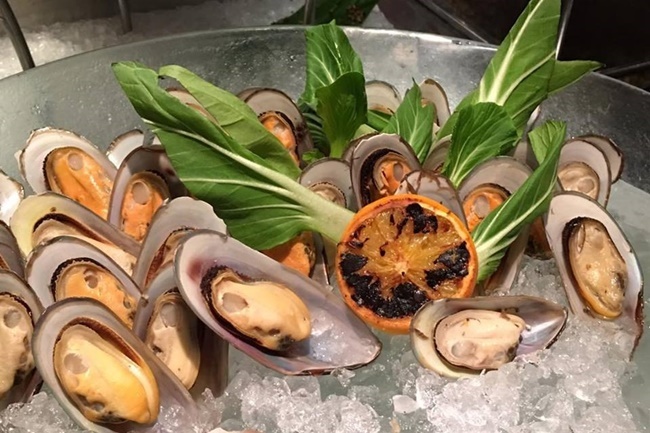 Awesome oyster feast available at the seafood counter. The delight never stops! Many more dishes and tastes to discover. If I can give an advice, take small portion of lots of different dishes. Be careful there is a lot! Eccucino has a wide selections for dessert and salad. 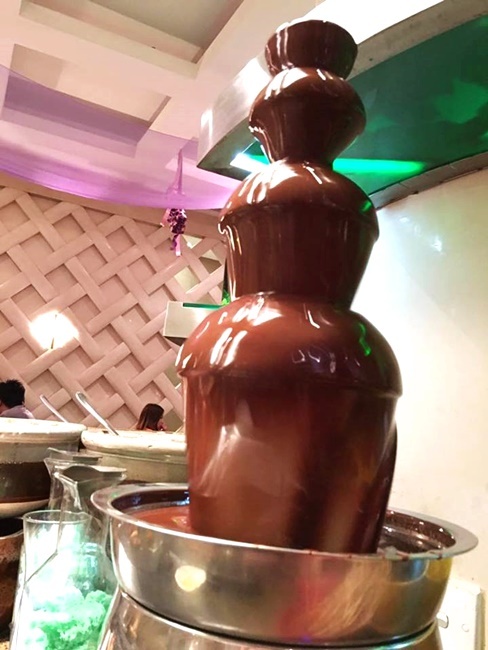 They even have a chocolate fountain which is very rare to be included in a buffet! 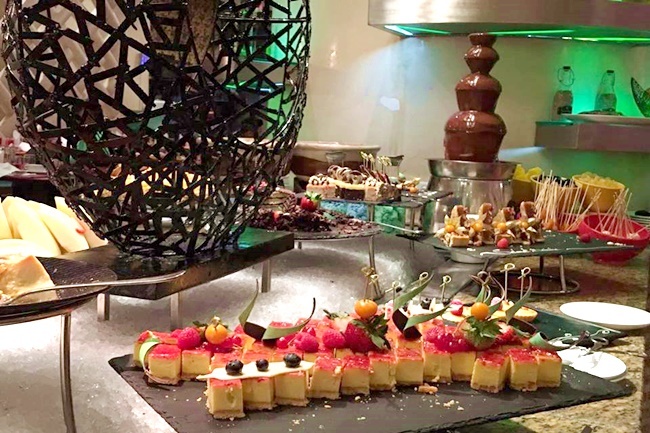 Some cakes and pastries are made with dark chocolate, some with sweet caramel, while others are served with fruits to enhance the dessert, giving it a refreshing feeling. Don’t forget to spot their special durian ice cream if you are here! Very colourful traditional Malay kuih. Pullman KLCC Hotel “Buka Puasa” buffet dinner will be available daily at Ecuccino Restaurant from 6:30pm to 9:30pm, from 6 June to 5 July 2016. 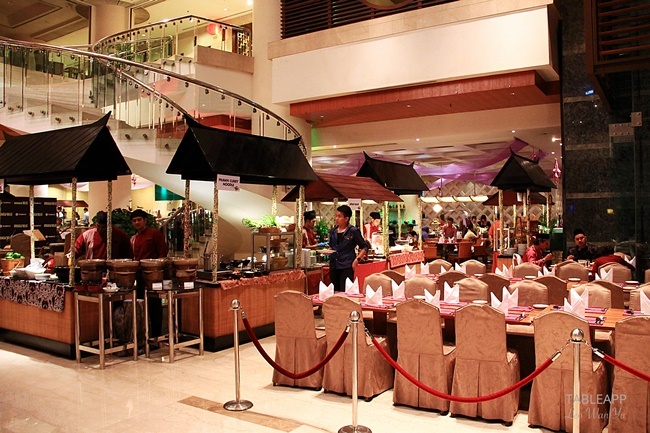 The buffet is priced at RM128 nett per adult and RM64 nett per child for children below 12 years old. 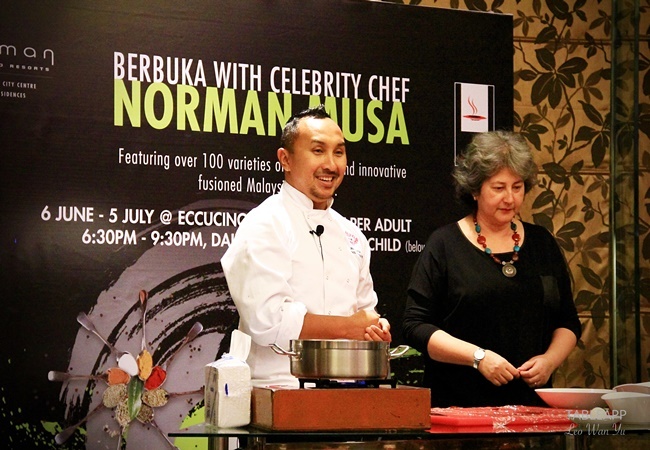 Book your table on TABLEAPP and make sure you berbuka with celebrity Chef Norman Musa at Eccucino, Pullman KLCC Hotel.